Abstract Border On Mirror Mirror with liquid glass & abstract borders. 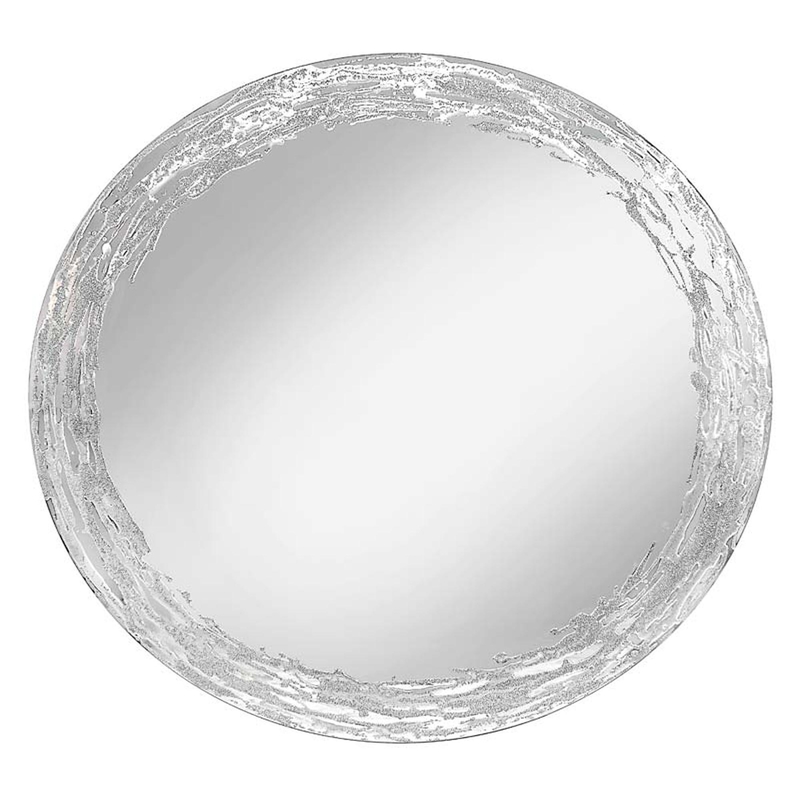 Introducing our new and beautiful Silver Glitter Border Swirl on Mirror. A circular mirror featuring a abstract pattern around the border. This piece was also designed and hand finished in the UK, and is available in custom sizes so you wont have to worry about set sizes not fitting were planned. Also coming with bracket attached and liquid glass to design the border.